Your attorney estate or financial planner can advise and work with you to help you formulate a planned gift strategy to achieve the results you desire. You can both provide for your loved ones and make a gift to organizations important to you during your lifetime. Here are some common planned gift options and a brief explanation of them. Thank you for considering the Congregation of the Sisters of St. Joseph of Boston in your estate plans. A bequest in your will is one of the simplest way to make a planned gift. By simply naming the Congregation of the Sisters of St. Joseph of Boston in your will, your gift will pass to the Sisters after your lifetime and after you have provided for your loved ones. Many people find that they are able to make a much larger gift by making a bequest provision in their will. You can designate a set amount or a percentage of your estate. Gifts of securities include publicly traded stock, mutual funds, treasury bills, corporate and municipal bonds. 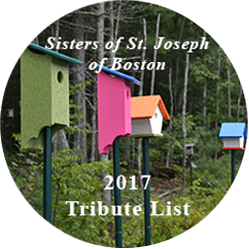 By making a gift of securities to the Congregation of the Sisters of St. Joseph of Boston you will also enjoy a tax benefit. Do not sell the stock first and then send the Sisters of St. Joseph a check. This will incur the capital gains tax. Securities must be transferred to the Congregation of the Sisters of St. Joseph of Boston \ first and then sold by us to take advantage of tax benefits. .
You can simply name the Congregation of the Sisters of St. Joseph of Boston as a beneficiary of your existing policy. It can be revocable (changed at any time) and it can be primary or contingent (upon the death of primary beneficiaries). Or, you may have an old life insurance policy that you no longer need. Either because there are no heirs, or because they may be financially secure. 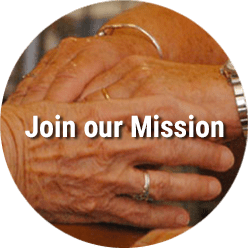 A gift of a paid-up policy can be made by naming the Sisters of St. Joseph as beneficiary of the policy and transferring ownership of the policy to the Sisters of St. Joseph. Or you may make the Sisters of St. Joseph owner and beneficiary of an existing policy or purchase a new policy and continue to pay the premiums yourself. 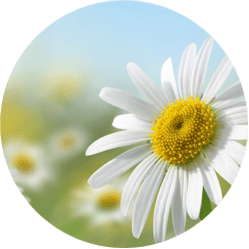 While IRA’s provide attractive tax benefits during your working years, they are subject to significant tax consequences when dealt with at the time of death. They are reduced by federal and state estate taxes, and they are subject to federal and state income tax when transferred to heirs. Many people who have an IRA take only the minimum withdrawals after the age of 70½, leaving undiminished balances well into their 80’s. This leaves substantial assets at death that when left to heirs become substantially diminished by the taxation mentioned above. For example, a $100,000 IRA after all these taxes can leave only $40,000 to heirs. Transferring an IRA to the Congregation of the Sisters of St. Joseph of Boston avoids this taxation, while other assets like securities and real estate can be left to heirs. Another option with the same benefits is to simply name the Sisters of St. Joseph as a beneficiary of an IRA. Although there are many variations on the types of trusts made for charitable purposes, there are two basic trusts that are used. Both have different tax benefits to the donor. Your attorney or financial advisor can help you set up these trusts. Cash or appreciated securities is transferred to the trust. A specified amount, or a percentage of the trust is paid out to the donor over the donor’s lifetime or a specified number of years. This can be paid monthly, quarterly or annually. 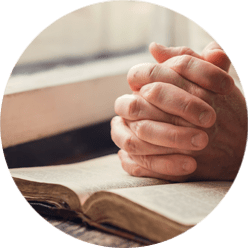 The trust then pays out the remaining assets of the trust to the Sisters of St. Joseph at the end of the specified time period, or at the end of the donor’s lifetime. Cash or appreciated securities are transferred to the trust. A specified amount, or a percentage of the trust is paid out to the Sisters of St. Joseph over the donor’s lifetime or a specified number of years. The trust then pays out the remaining assets of the trust to donor or the donor’s heirs at the end of the specified time period, or at the end of the donor’s lifetime.